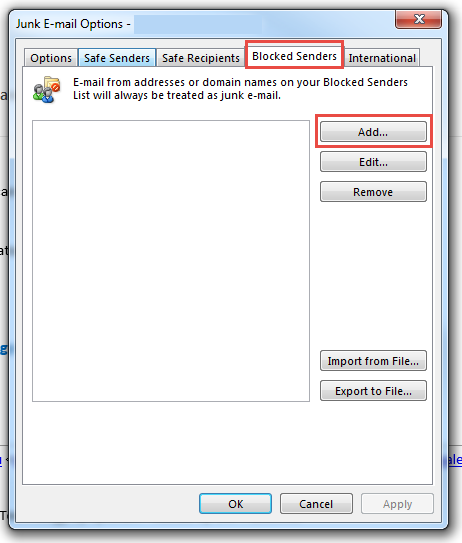 Instructions for adding an address to the safe senders or blocked list in Outlook 2016. 2. In the Home toolbar, select the Junk button. 2. 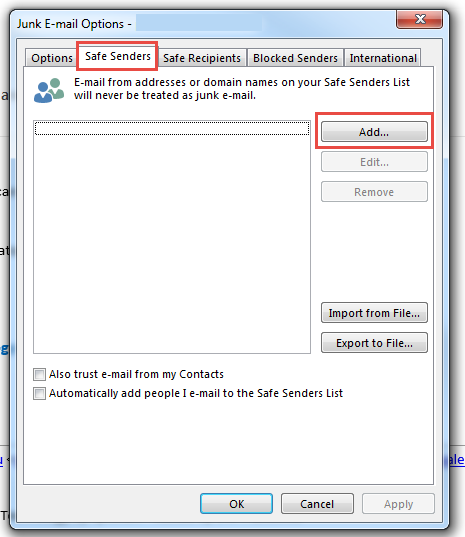 In the new window, type the email address to be added to the safe senders list, and then click OK. 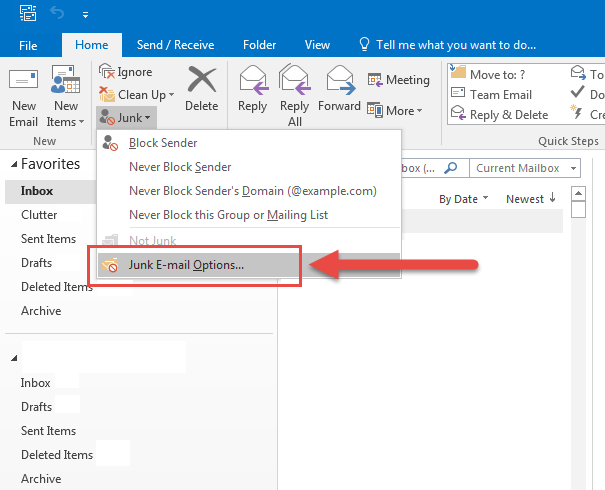 The address added will be immediately send all messages from it to the junk email folder. 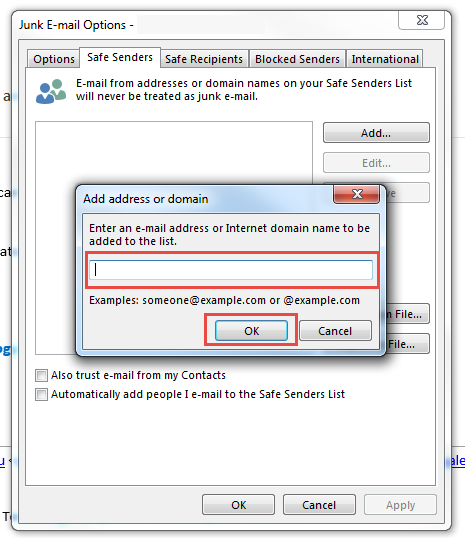 This option can be used when multiple emails have been sent from the same account and the receiver wishes to not be alerted by them anymore. 2. 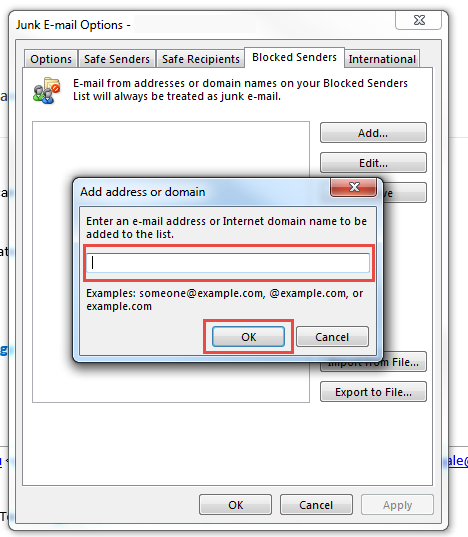 In the new window, type the email address to be added to the blocked list, and then click OK.